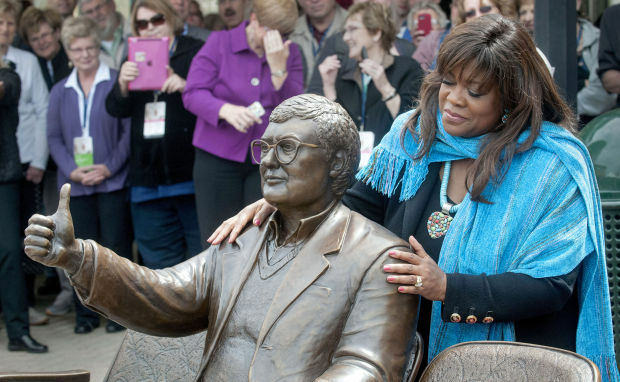 The 18th annual installment of Ebertfest, the film festival co-founded by Pulitzer Prize-winning critic Roger Ebert and his wife Chaz Ebert at the University of Illinois College of Media, is slated to run from Wednesday, April 13th, through Sunday, April 17th, next year. Passes for the festival will go on sale Saturday, November 2nd—and are available at the official sites of Ebertfest and its main venue, The Virginia Theatre, 203 W. Park Ave., Champaign, IL. They can also be purchased by calling the theater box office at 217-356-9063. Passes cost $150 plus processing and cover every screening scheduled for the festival. Only one thousand passes will be sold. Panel discussions and other related festival events are free and will be held at the University of Illinois at Urbana-Champaign. Presiding over Ebertfest are co-founder and producer Chaz Ebert and festival director Nate Kohn. From rare archival prints of iconic classics to the latest and greatest works of modern cinema, Ebertfest's lineup has it all. Though the official titles for 2016 will not be announced until several weeks prior to the festival, cinephiles can simply search through the archives to get a sampling of the phenomenal guests and screenings offered each year. Past visitors to the festival include Ramin Bahrani, Michael Barker, Seymour Bernstein, Veronica Cartwright, Arthur C. Clarke, Paul Cox, Billy Crudup, Keir Dullea, Robert Forster, Werner Herzog, Norman Jewison, Charlie Kaufman, Kris Kristofferson, Neil LaBute, Brie Larson, Ang Lee, Spike Lee, Richard Linklater, Guy Maddin, John Malkovich, Bennett Miller, Tim Blake Nelson, Bill Nighy, Patton Oswalt, Chazz Palminteri, James Ponsoldt, Alex Proyas, Bob Rafelson, Alan Rickman, Paul Schrader, Jason Segel, Michael Shannon, Timothy Spall, Oliver Stone, David Warner, Haskell Wexler, Scott Wilson, Shailene Woodley and Terry Zwigoff. One of the festival's most beloved return guests, Tilda Swinton, led audience members in an unforgettable conga line in honor of Roger mere weeks after his death in 2013. Join in the Ebertfest conga line next year and meet filmmakers, critics and movie buffs from around the world. There simply isn't a cinematic labor of love quite like it. Individual tickets for each screening will go on sale Friday, April 1st, 2016, and are $15 ($13 for students and seniors). Visitors interested in becoming volunteers or sponsors can contact the festival's assistant director, Casey Ludwig, at 217-300-1375 or via e-mail at ludwig2@illinois.edu. Pass holders in the Chicagoland area still have a chance to catch "The BlackWhite Love Play," Jackie Taylor's musical about Roger and Chaz's love story, at The Black Ensemble Theatre through November 15th. Click here to read Chaz's review of the play, and for tickets and showtimes, visit the venue's official site.